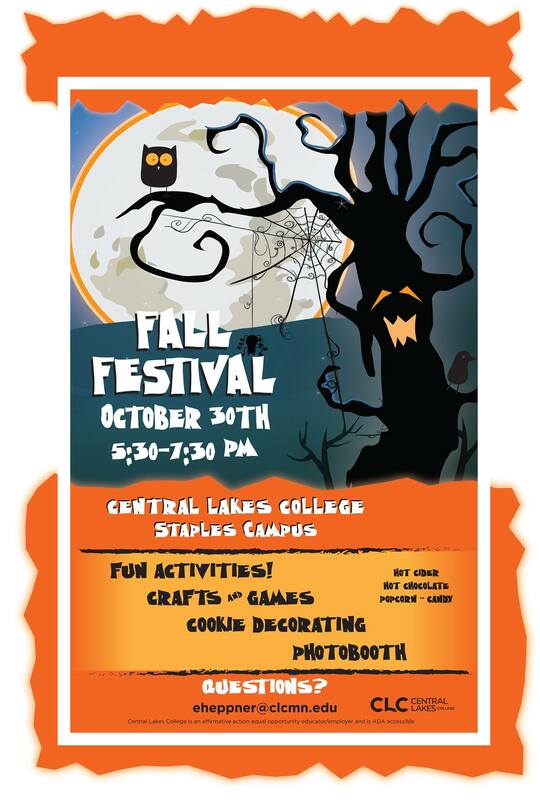 Bring your little ghosts, goblins, and ghouls to the annual Fall Festival at Central Lakes College-Staples Campus! We will have crafts, games, treats, and a photo booth. Make fun family memories at your local community college! This a free event sponsored by CLC Student Senate and First International Bank of Staples.